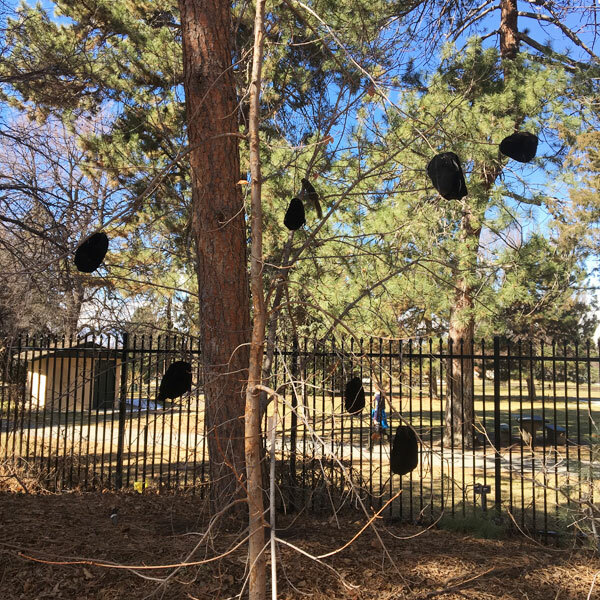 Visitors walking in the Gates Montane Garden may notice something strange through late spring: black velvet bags on the tips of one tree near the Cheesman Park gate. It is not trash or a new art installation — the Gardens' horticulture staff is attempting to propagate the tree, a bigtooth maple, which has recently come under attack by our local squirrel population. The bigtooth maple Acer grandidentatum is a Colorado native that thrives in dry conditions and tolerates heavy soils much better than other maple species. It’s a smaller tree that can have either a tree-like or shrub-like form and has excellent fall color. This specific tree was collected near Logan, Utah because of its good fall color and more tree-like form. 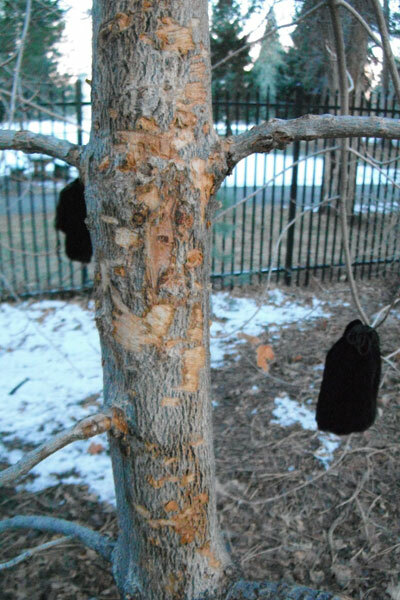 In an effort to save the genetics of this tree from marauding squirrels, we are using propagation techniques pioneered by researchers at Utah State University. This species is usually very hard to propagate by cuttings, but by placing dark bags over the stems, the tree is forced to grow in darkness — a process called etiolation. Cuttings taken from this etiolated growth root much easier than cuttings taken from stems that grew in full sunlight. 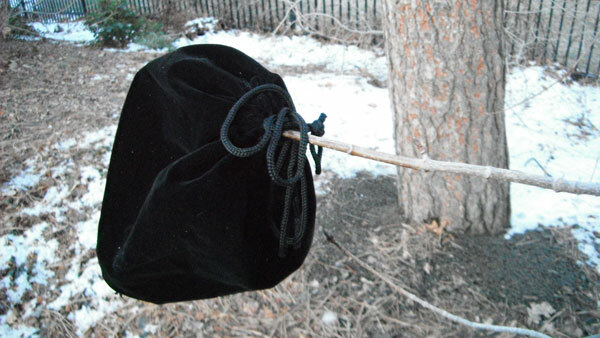 The bags will be removed after the tree begins growing in late April or May. If successful, the propagated clones of this tree will be planted in other locations at the Gardens. Perfecting vegetative propagation of bigtooth maple will allow us to provide trees with a predictable habit and fall color, since trees grown from seed take a long time to grow and can be very variable in their appearance. If this experiment is successful we hope to propagate more bigtooth maples in the future to make them available at the Grown at the Gardens division of the Spring Plant Sale.